Work quickly and efficiently - all new Suite Studio client, Visual Studio Integration (SCCI) and High Performance server including failsafe audit, merge tracking and change linking to bugs with the included integration to Jira, Mantis and Bugzilla. All this for only £85 - €96 - $137. 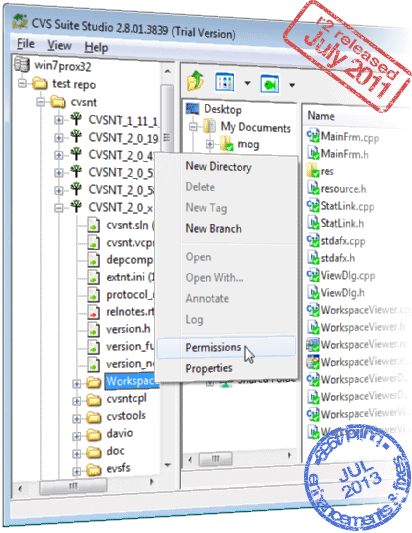 R2 released July 2011, enhancements released on 27th Sep 2012 & patches fortnightly.